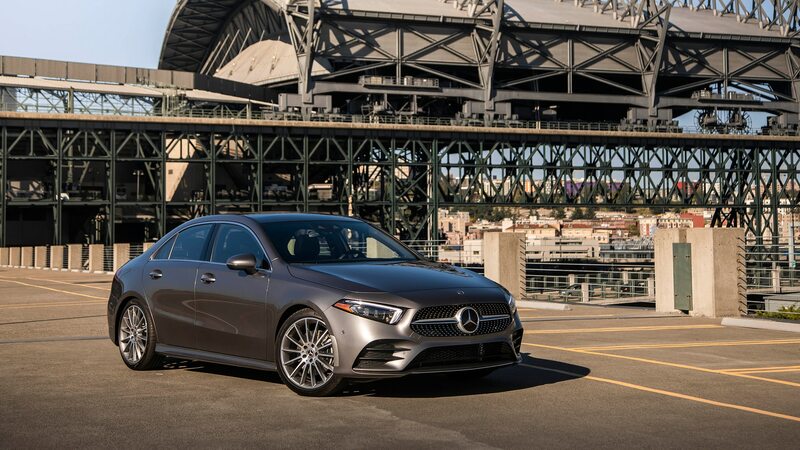 It took a long time for Mercedes to finally bring its entry-level A-class to the U.S. market—four generations and 22 years, to be exact. 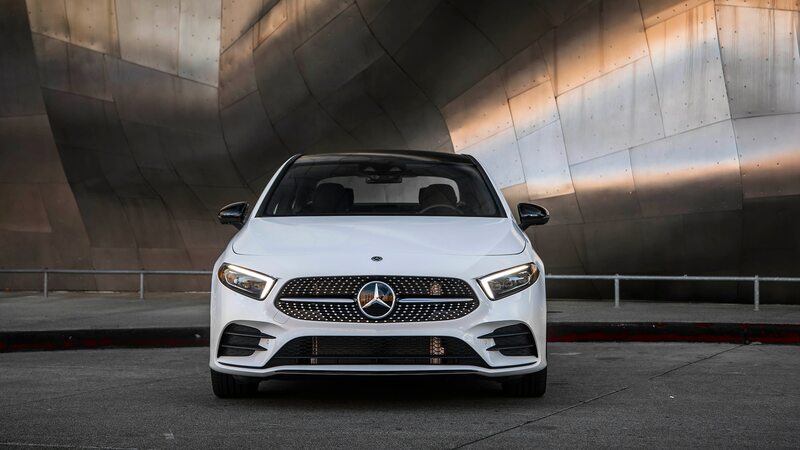 It’s fitting perhaps that the first-ever U.S. A-class is the first-ever A-class sedan, and it is offered in front- and all-wheel-drive configurations. 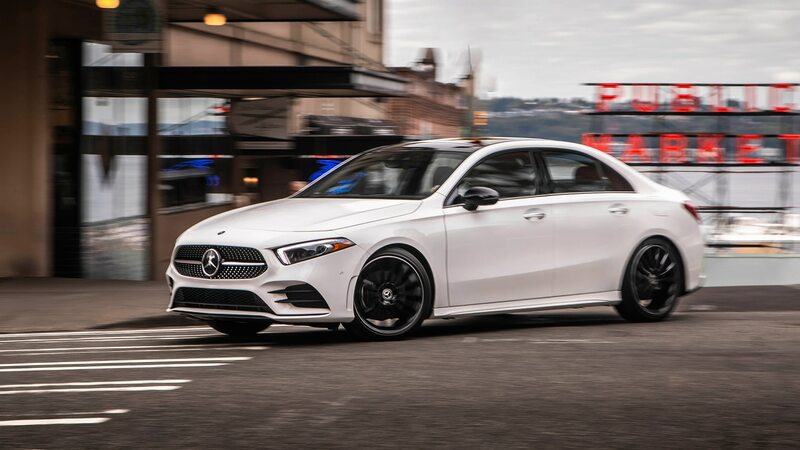 For our purposes of building the ideal A-class, I’m starting with the all-wheel-drive A220 4Matic for a sensible $2000 upcharge on the A’s starting price of $33,495. 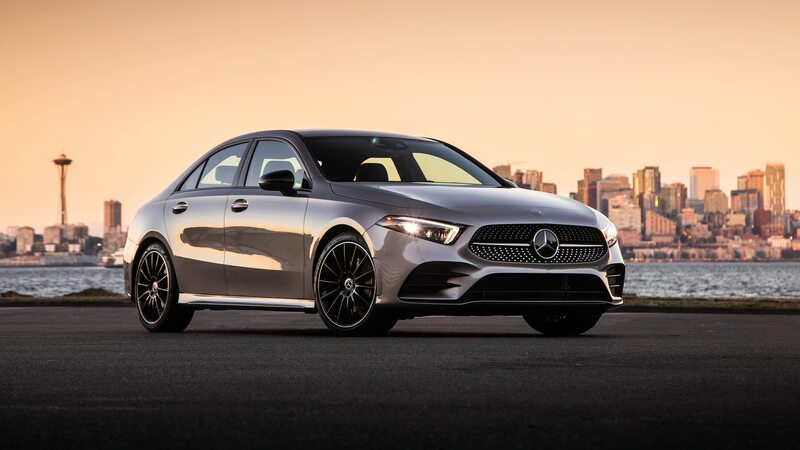 Read on for the rest of my ideal spec for the new entry-level Mercedes. 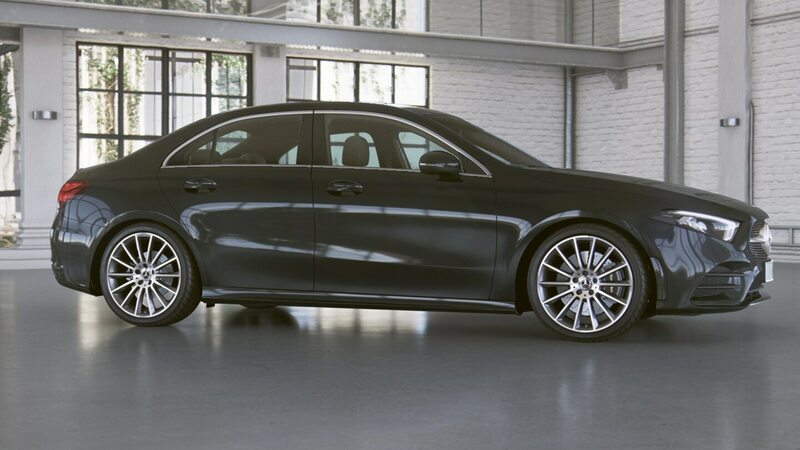 Paint: Cosmos Black Metallic and Mountain Gray Metallic are both good fits for a German sedan (either shade costs $720). And before you complain that I pick boring colors for the cars featured in our “How I’d Spec It” series [You do, Marc.—Ed. ], there are very few extroverted hues offered on the A220. 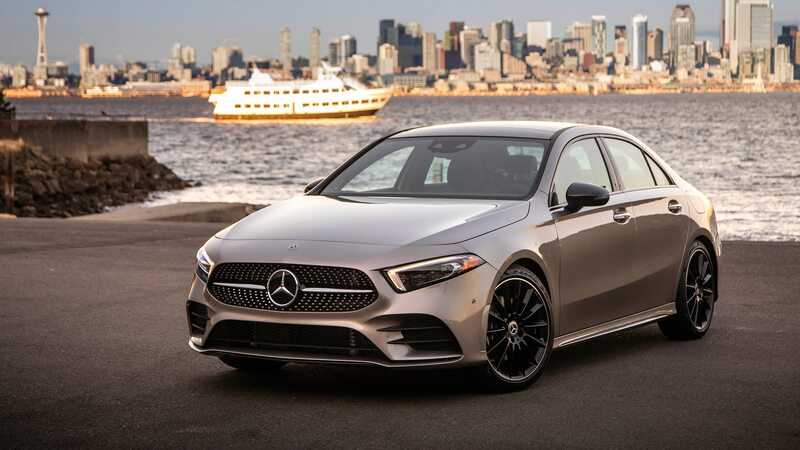 Wheels: My choice of interior color and upholstery forces the fitment of the AMG Line package ($2310), which is okay by me. 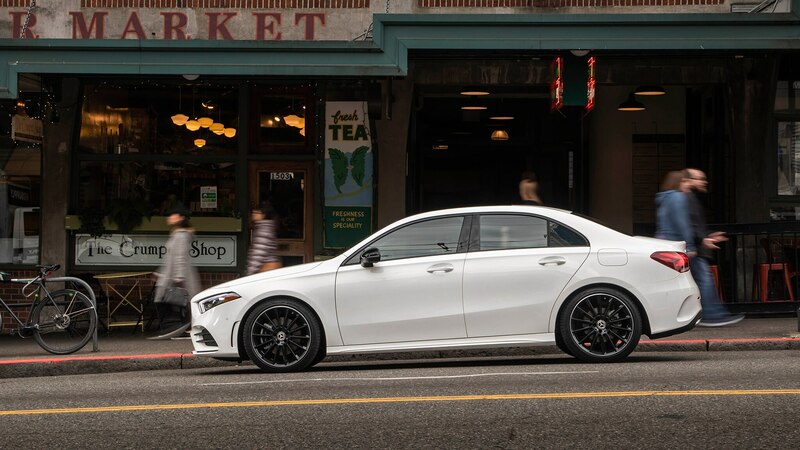 It bumps the wheels from 17 to 18 inches, but I’d go even farther and upgrade to the silver 19-inch AMG wheels for another $500. They’re by far my favorite design of the lot, and they also lose the all-season run-flat tires for conventional performance tires (with a fix-a-flat kit). Due to the non-run-flat tire setup, the ride shouldn’t be too compromised by the shorter sidewalls, but the performance rubber will necessitate keeping a set of winter tires on hand in certain climates. 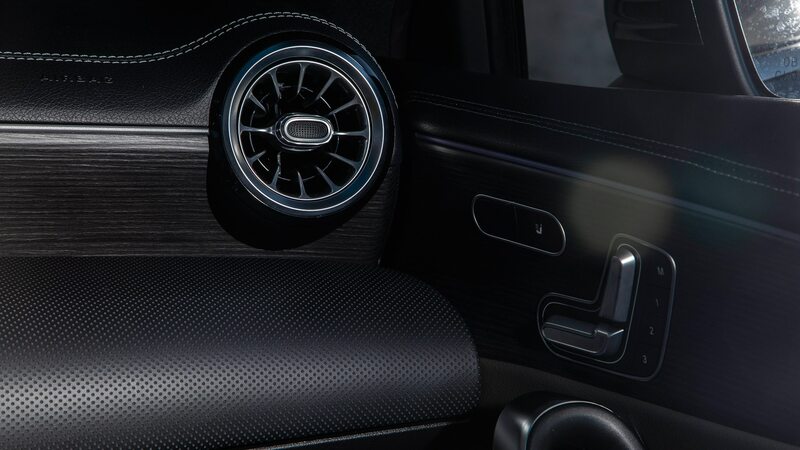 Seats: The $1450 Titanium Grey/Black leather ($1450) sport seats require ordering seat heaters for $580. I’d add the handy warming feature anyway, so no problem there. 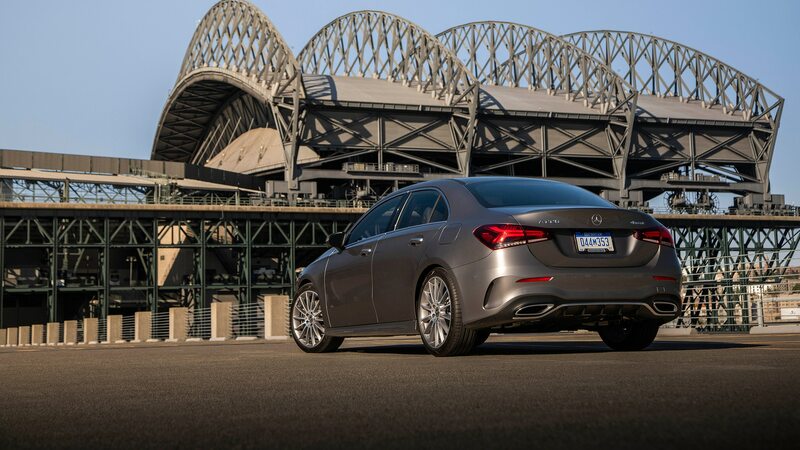 Trim: The longitudinal grain aluminum trim is less contrived than the standard linear grain aluminum trim, and I think it looks great with the leather upholstery. There’s no charge for the change, which is nice. 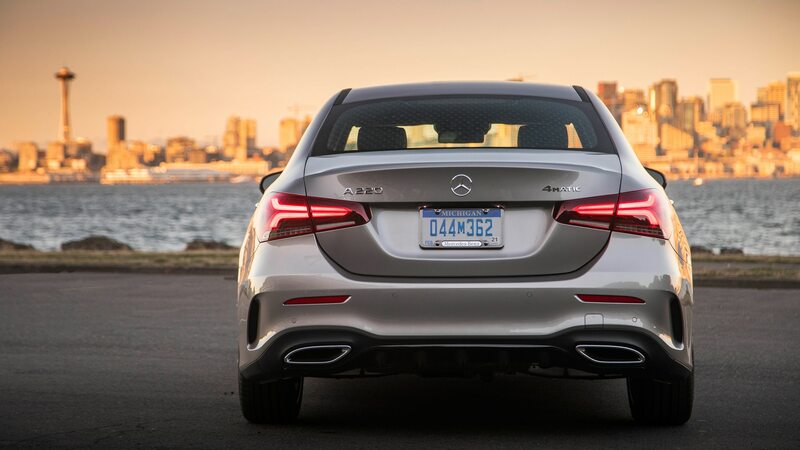 AMG Line: As noted, it’s $2310. 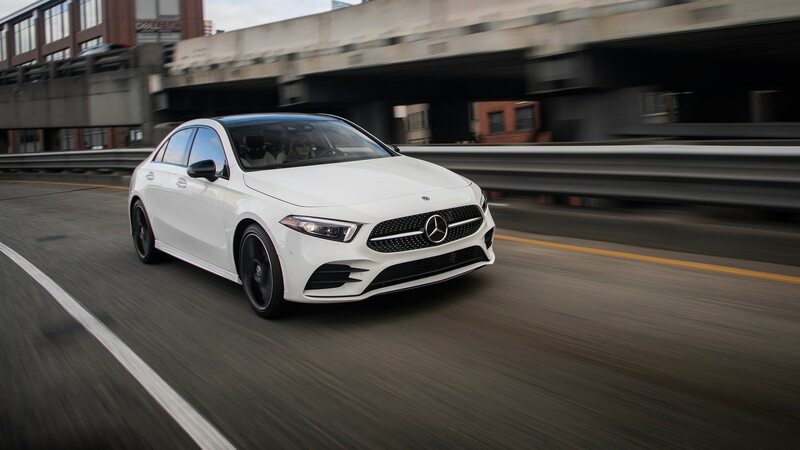 In addition to the wheel upgrade, it also brings an exterior sport-styling package, a lowered Comfort suspension, and interior detail changes. 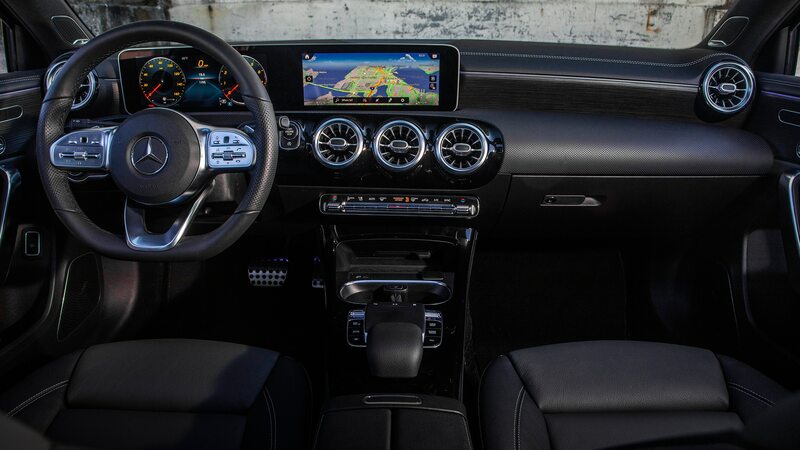 Premium Package (P1): For $1550, both screens of the all-new MBUX infotainment system are enlarged from 7.0 inches to 10.3, plus you also get proximity entry/ignition and auto-dimming and power-folding side mirrors. Blind Spot Assist ($550) is a forced option with P1. 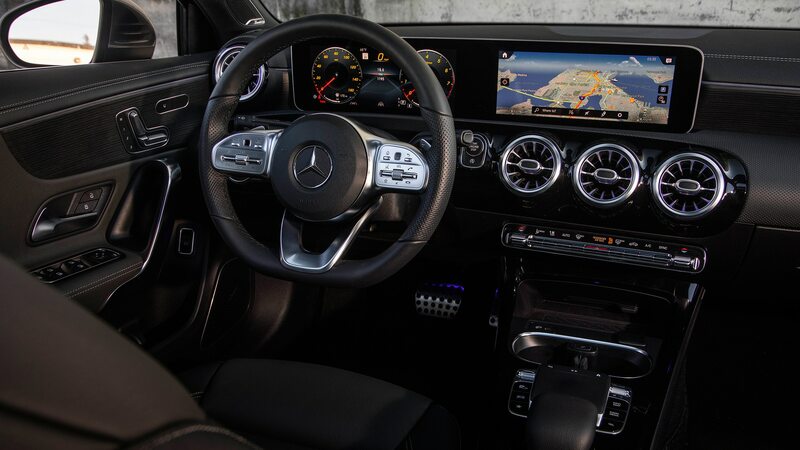 Multimedia Package: You’d think the Premium package and its $2100 cost (including the compulsory blind-spot assist) would at least provide factory navigation. But full MBUX functionality costs an additional $1150, and along with navigation adds the trick new Augmented Video for Navigation. That feature overlays direction arrows and other information on a video feed from the front-mounted camera. Traffic Sign Assist is included, too. Having to spend a total of $3250 is crazy. 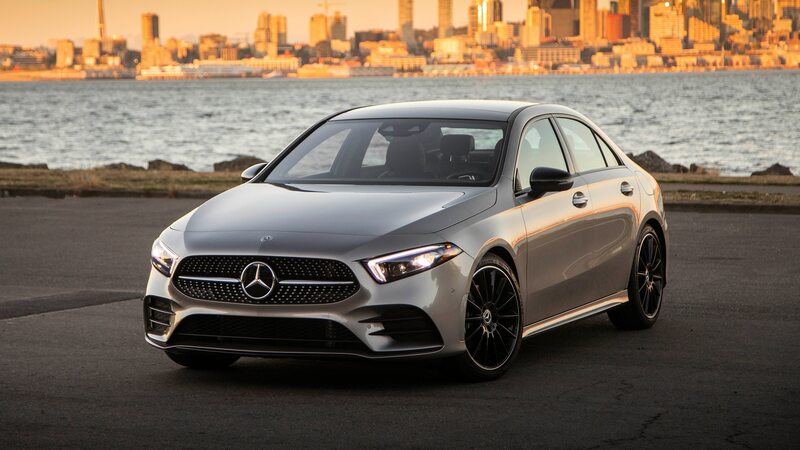 At least Apple CarPlay and Android Auto are both standard on the A-class, and we understand owners may be able to purchase and download certain features like navigation as a la carte add-ons in the future. 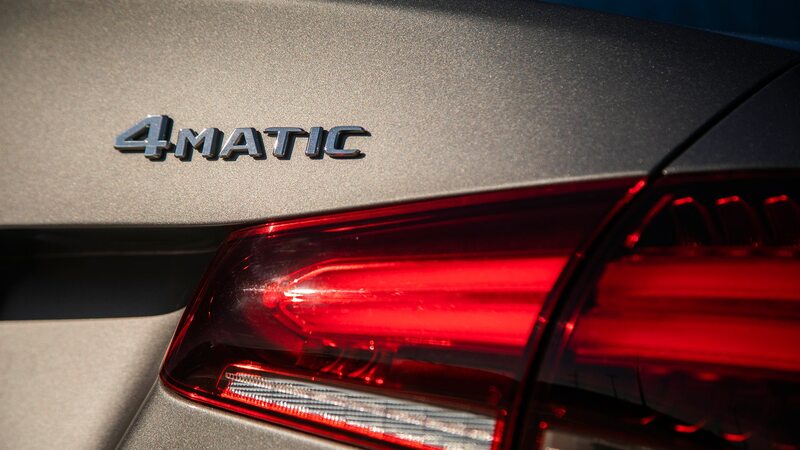 Exterior Lighting Package: It’s $900 for active LED headlights and auto high beam. I prefer having top-spec illumination for the increased safety it provides. Etc. 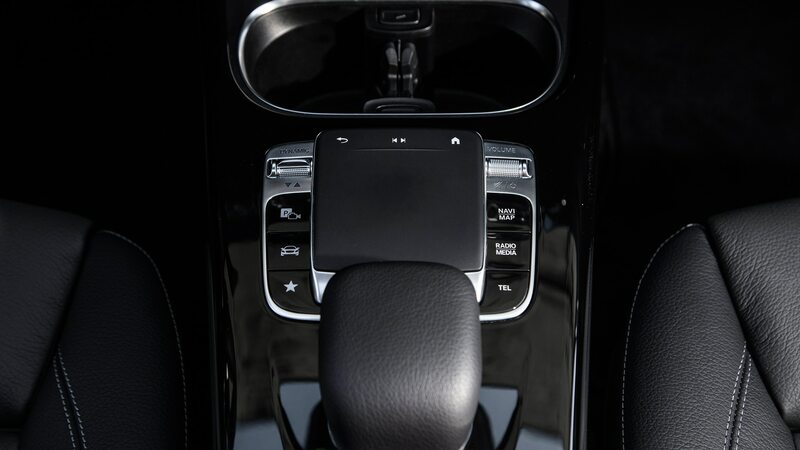 : An integrated garage door opener ($280) and SiriusXM ($460) are both important to me—even though they should both be standard. Burmester sound adds $850 and wireless charging is $200. I’d also spec the $850 adaptive dampers, as it should help quell any unforeseen and untoward behaviors the 19-inch wheels might introduce. 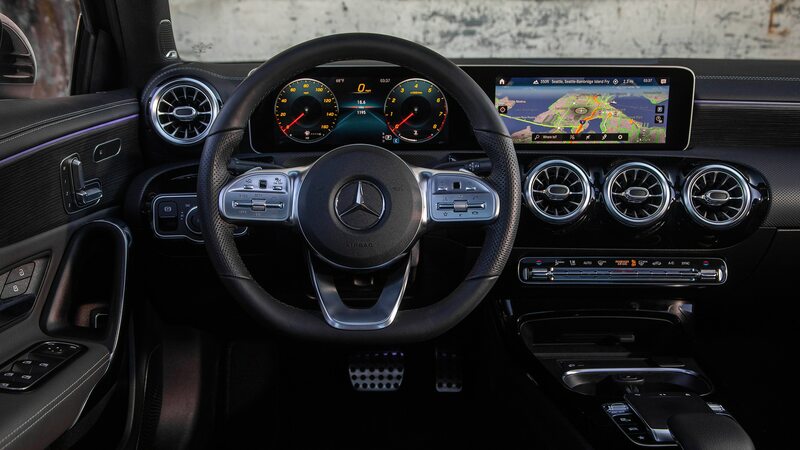 Sadly, you can’t order the $250 heated steering wheel with the AMG Line bundle, which is a shame. (Mercedes, fix this.) 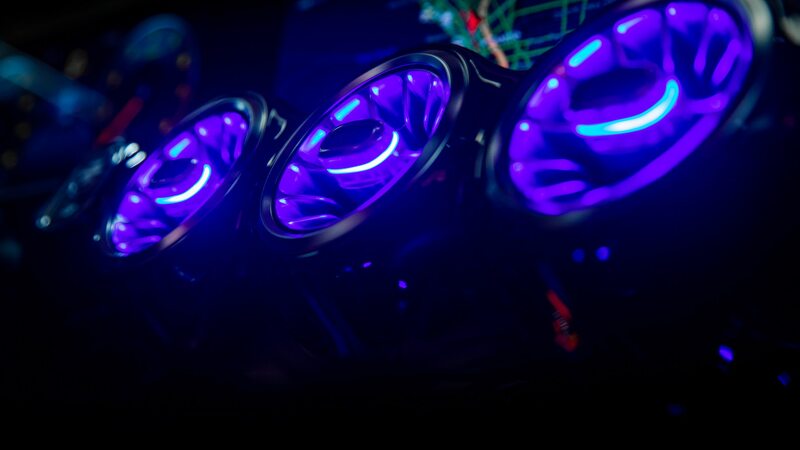 The heated and ventilated seats ($1030) are tempting, as you get ventilation for just $450 more than heat alone, but this build is already high enough and I have to save money somewhere. 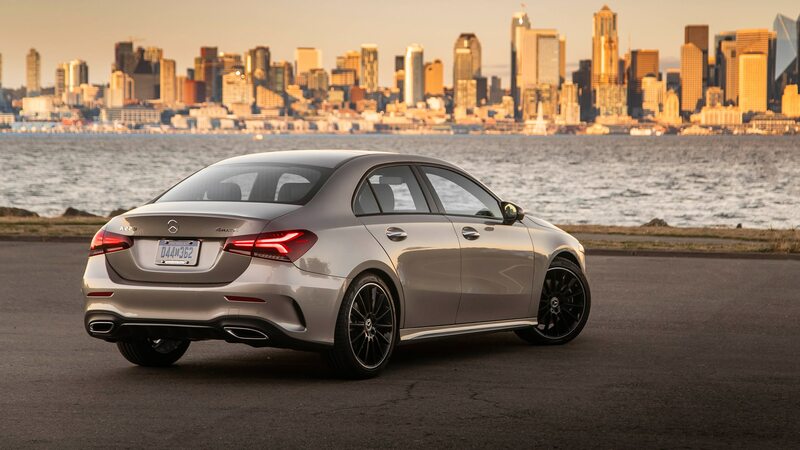 I’m not a fan of blacked-out trim, so the $300 Night package is a pass. 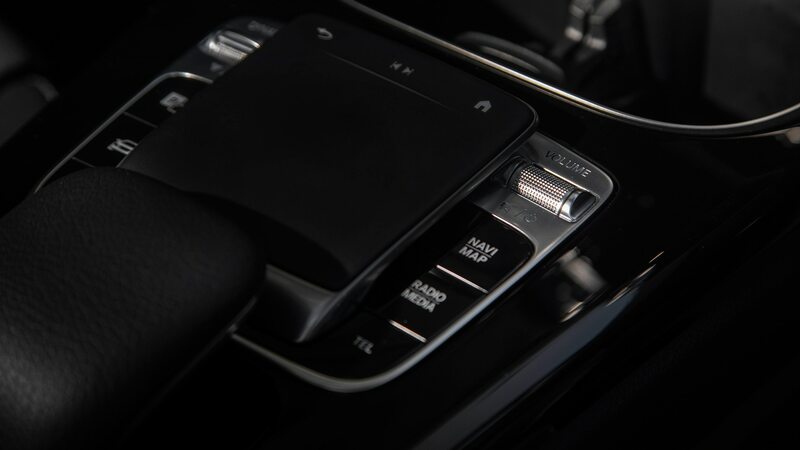 The Parking Assist package ($1090) adds surround view and Active Parking Assistance. I don’t need either. 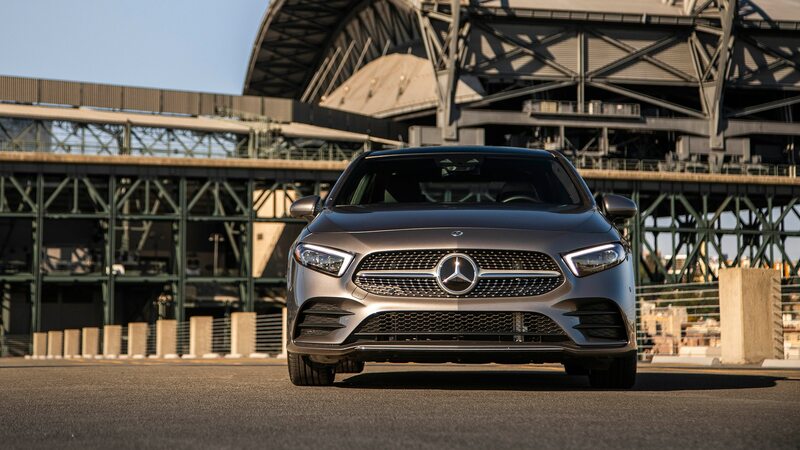 For $2250, the Driver Assistance package adds a plethora of driver-safety technology including radar cruise control with active steering assistance. That’s all stuff more befitting of an S-class, and this car’s wieldy size should make it easy enough for most drivers to keep it undented. 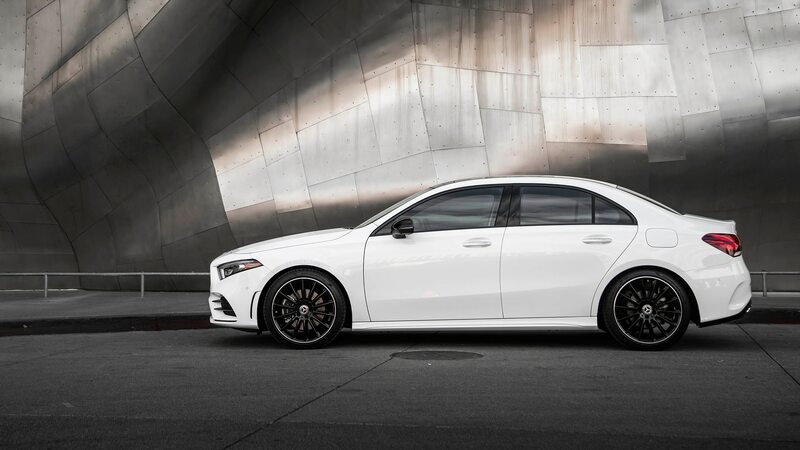 The black 19-inch wheels with the silver lip ($500) are unattractive and require the Night package. 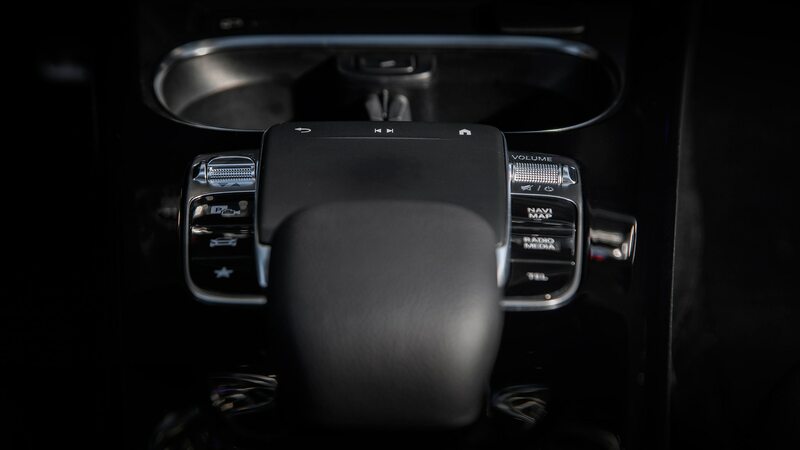 I also don’t need 64-color ambient lighting ($310) or a head-up display ($990). The additional adjustability of the $510 multicontour seats can only be added to the base MB-Tex (vinyl) black or beige “comfort” seats, so it’s out. 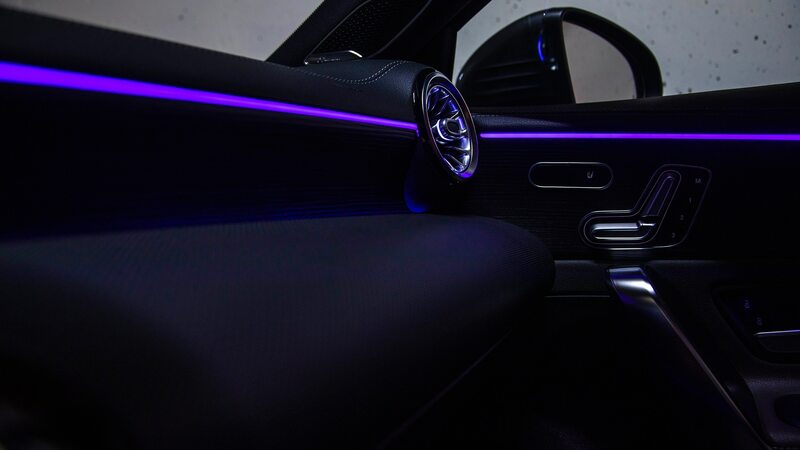 I’d also pass on rear side airbags ($420 plus a $250 special-order charge), as well as a large list of accessories including the illuminated Mercedes star in the grill, illuminated doorsills, and LED logo projectors mainly because they’re all pretty tacky. And there’s a load of carbon-fiber-look exterior details that will just make the driver look like they’re trying too hard. 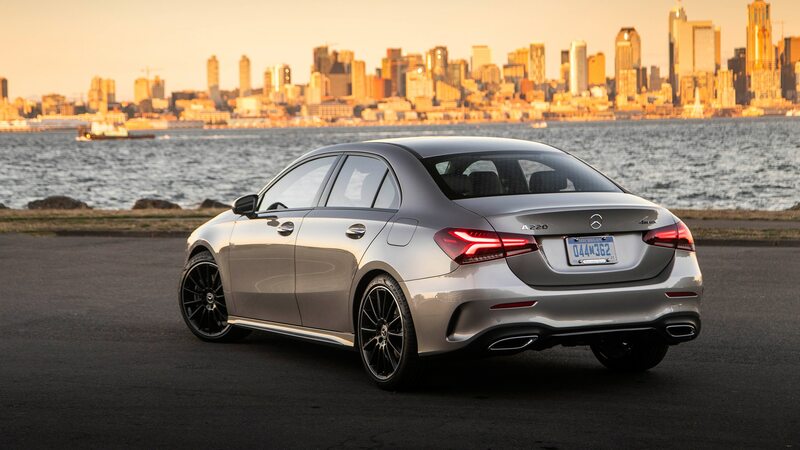 That’s quite a lot, especially for a small, 188-hp sedan. 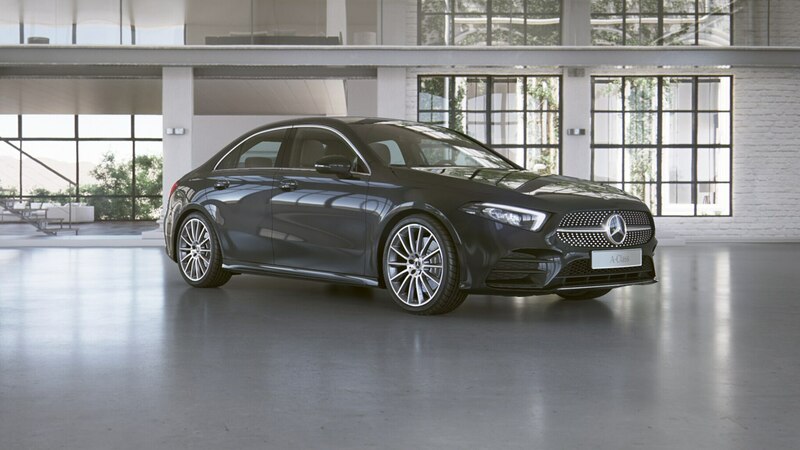 But the build does carry a load of tech and features, and if I’m buying a Mercedes I want it to feel like one, entry-level model or no.